Vibrating Urethral probe has a ribbed shaft which vibrates on the push of a button. Maximum length of shaft 4 cm and 1 cm in diameter at the tip. We recommend using lubricant for easy insertion. 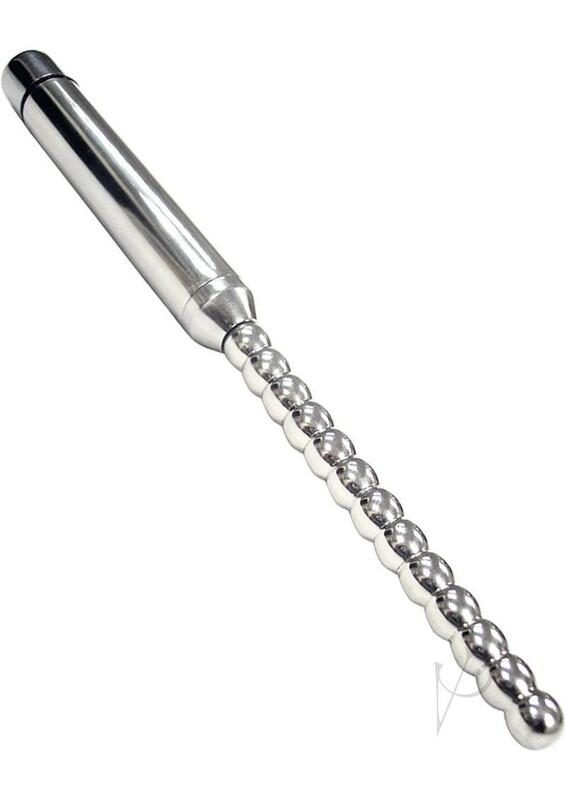 Stainless steel vibrating urethral probe is ribbed and vibrates to create the ultimate intense stimulation. Requires two AA battery (not supplied).